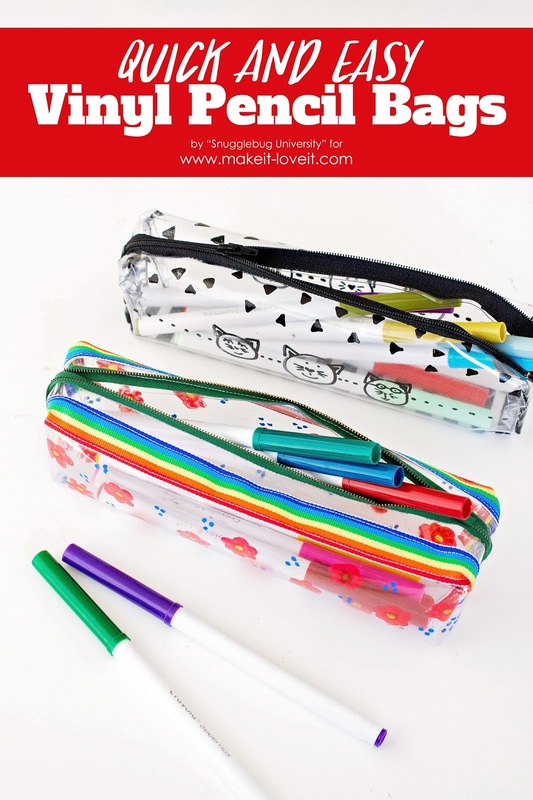 Today I'm over on Make It Love It sharing how to make these vinyl pencil cases. I think they are so fun, especially because you can embellish them however you'd like! Really neat, right? You could even let your kids design their own! The best part though is that they are super simple to make..and they make great gifts too! So hop on over and check out the tutorial! These pencil boxes are so easy to make and I made one for my nephew and he was just stunned by that. He really loves it and asks me to make more of them for him.